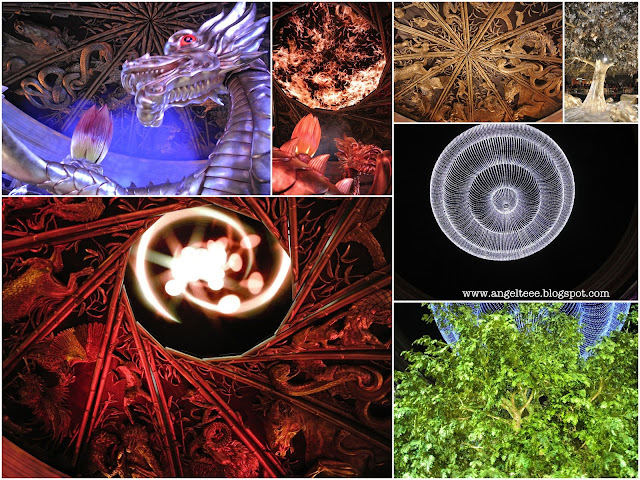 Having visited Hong Kong previously before, J and I decided to explore the places we have not gone to in our previous visits. Because Macau is just a 50-minute ferry ride from Hong Kong, and because we both haven't been there yet, we figured it wouldn't hurt to drop by and make it our first stop. 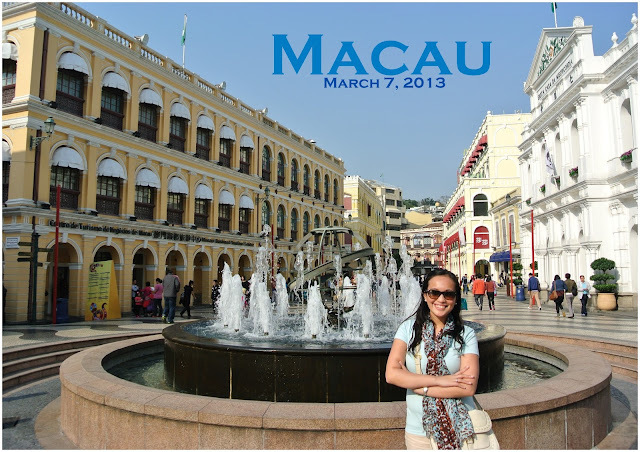 Macau is exactly what it is so vividly painted and described - a city of colored lights, hotels, casinos and shows. 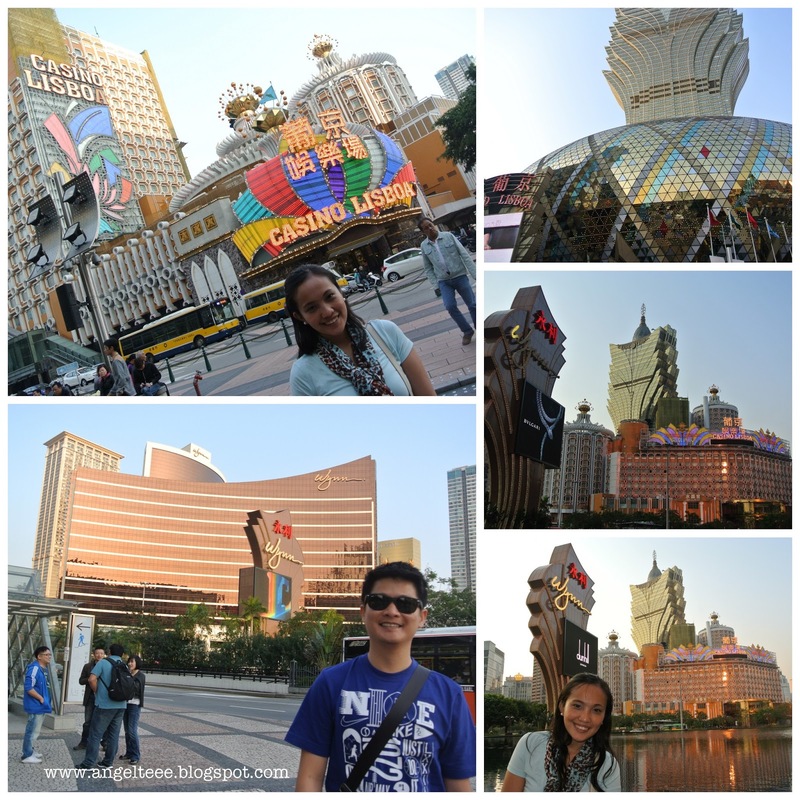 Asia's version of Las Vegas. 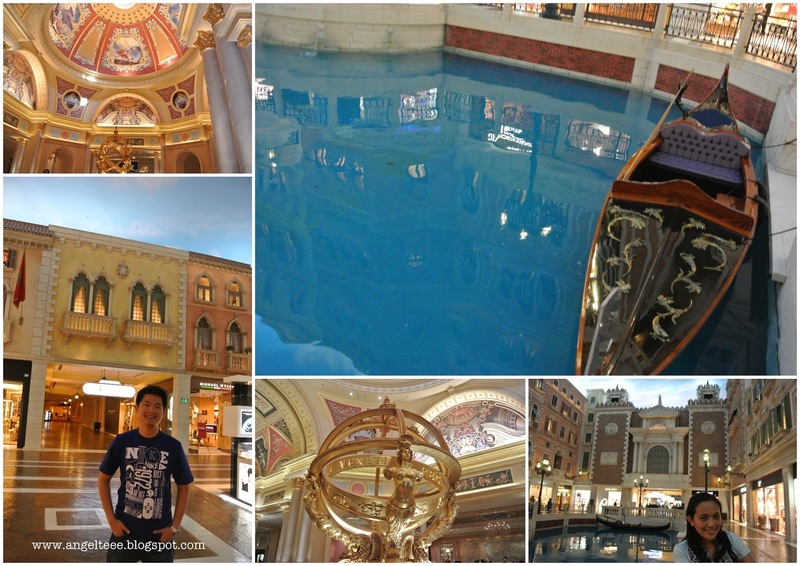 For that night, we stayed at The Venetian. 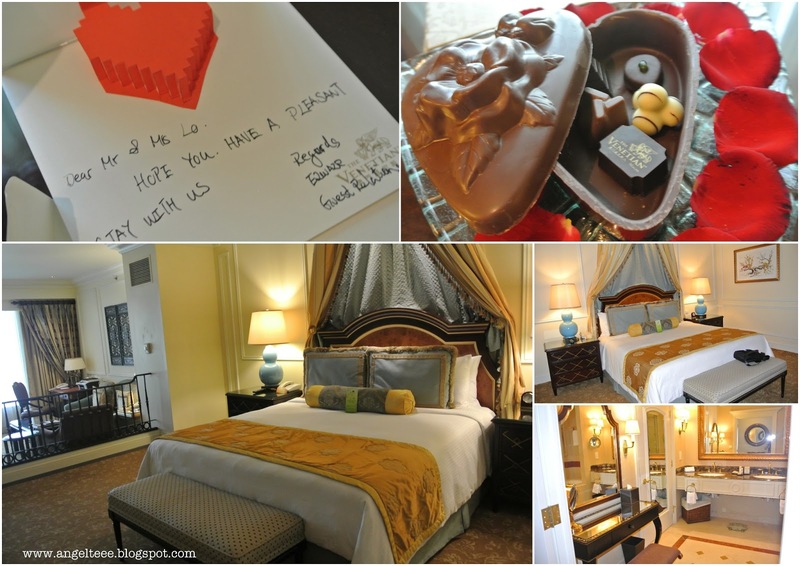 I loved how welcoming they were, and I was pretty surprised with their welcome gift of chocolates! It really made our day sweet and the inner chocoholic in me very happy. Yup, it was a chocoholic's happiness right then and there. The Venetian also brought back memories of the picturesque Venice, and seeing the Venetian-inspired room and buildings, gondolas, piazza - all indoor, mind you, leaves you in awe of how life-like it all were. For a moment you'd feel transported to Venice surrounded with gondoliers serenading you, and the water and architecture, ooh-la-la ROMANCE! 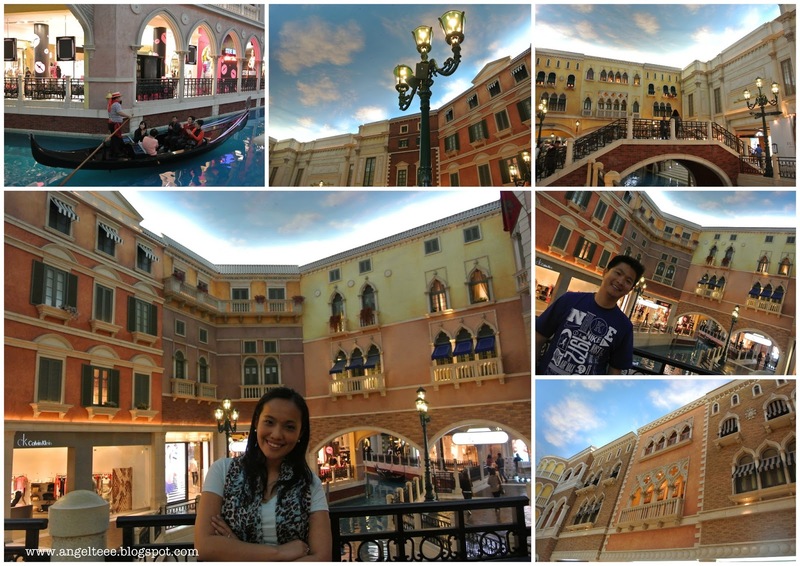 reliving Venetia (one of my fave cities), one gondolla at a time. 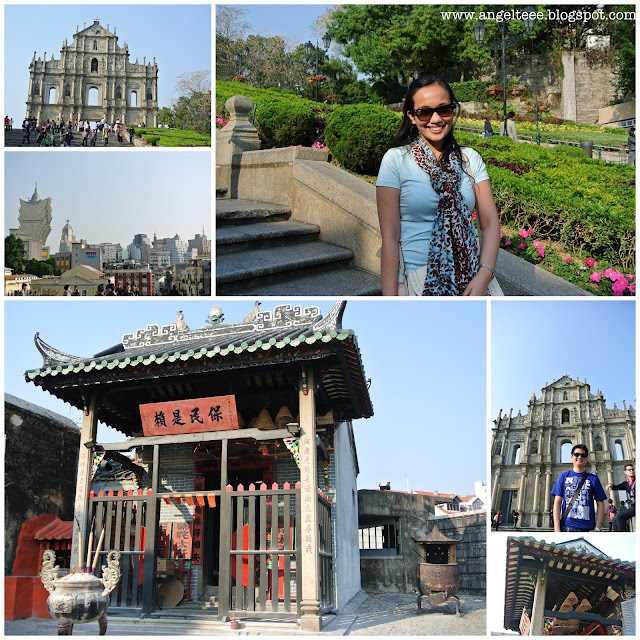 Aside from basking ourselves with our ala-Venezia experience, of course, we went out and explored the real Macau too. It certainly would've been tempting not to go out of the hotel and just be lost in its Venetian facade. 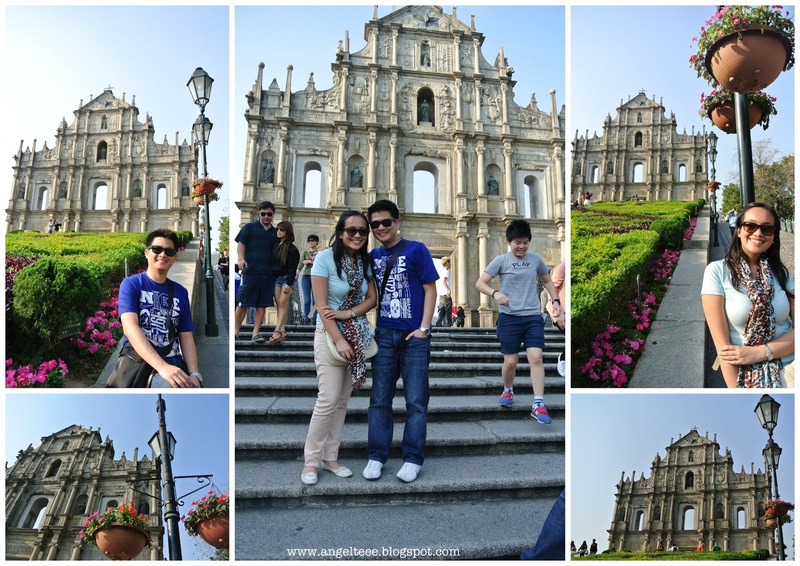 But not to be missed are the Senado Square and The Ruins of St. Paul's. These two are what Macau is known of. 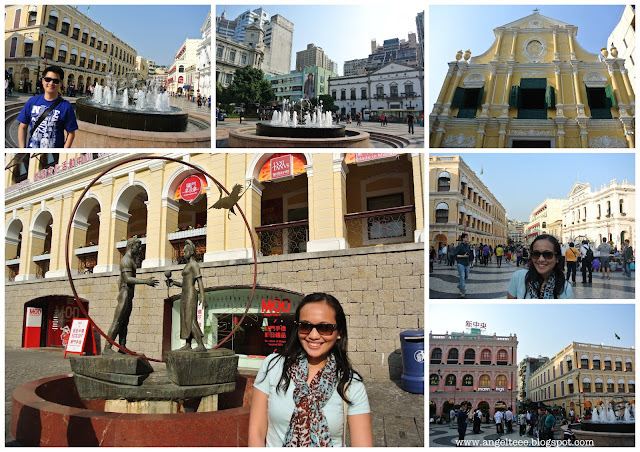 Walking around the center of Macau and looking at their buildings, one cannot fail to notice the Portugese influence in their architecture. It certainly wasn't your typical Asian destination. Then came a round of hotel-hopping. Since J and I don't gamble, we steered away from the casinos so we just planned to go around the hotels to watch their free shows. Because we were short of time, we were able to only visit Wynn Hotel and see their shows, though we were able to pass through and by Lisboa Hotel. We saw the Tree of Prosperity Show and the Fortune Dragon Show, which went on for around 15 minutes each at 30-minute intervals. And before we knew it, it was already dusk. Time's pretty fast when you're out and about, right? One last item on the itinerary - the Fisherman's Wharf. I simply must go there, dark or not! 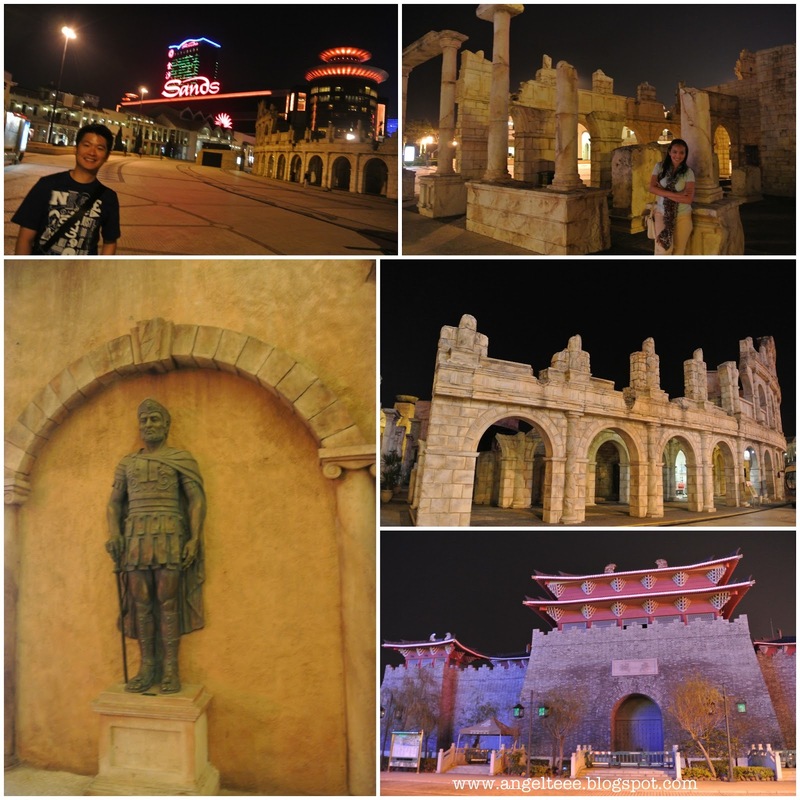 It was filled with amazing structures and somewhat mini-replicas of the Roman Colosseum, Greek Parthenon, and a Babylonian-themed casino. Too bad I didn't have much to show in photos. Nice blog indeed.I like it.